Rocky Mountain Paper Crafts: H2H Creature Feature & Stamp Giveaway! Added a few details for the inside. 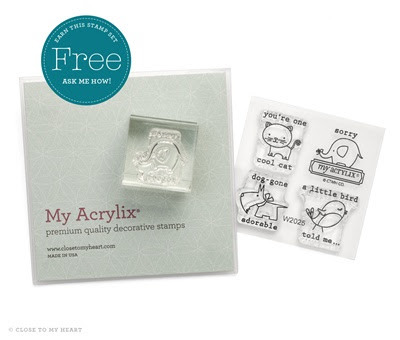 Enter the drawing for your free stamp set below! The drawing is open to all! No purchase necessary! 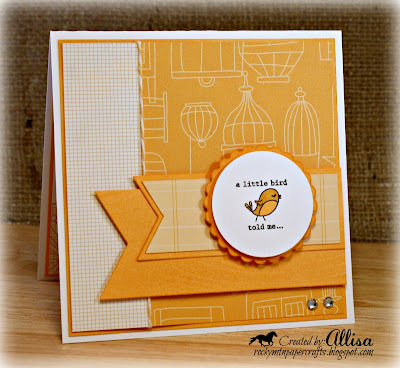 Love the bird cage paper in the background with that cute little bird! Oh wie wundervoll! Eine ganz tolle Karte! I love that bird and your card design is fabulous my friend! PS-You know I love making cards!! Adorable card! Love the colors and sweet little bird! 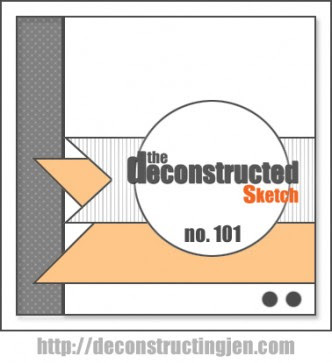 Thanks so much for playing along with us at The Deconstructed Sketch! Super sweet card Allisa.....love it! I love making cards the most!! 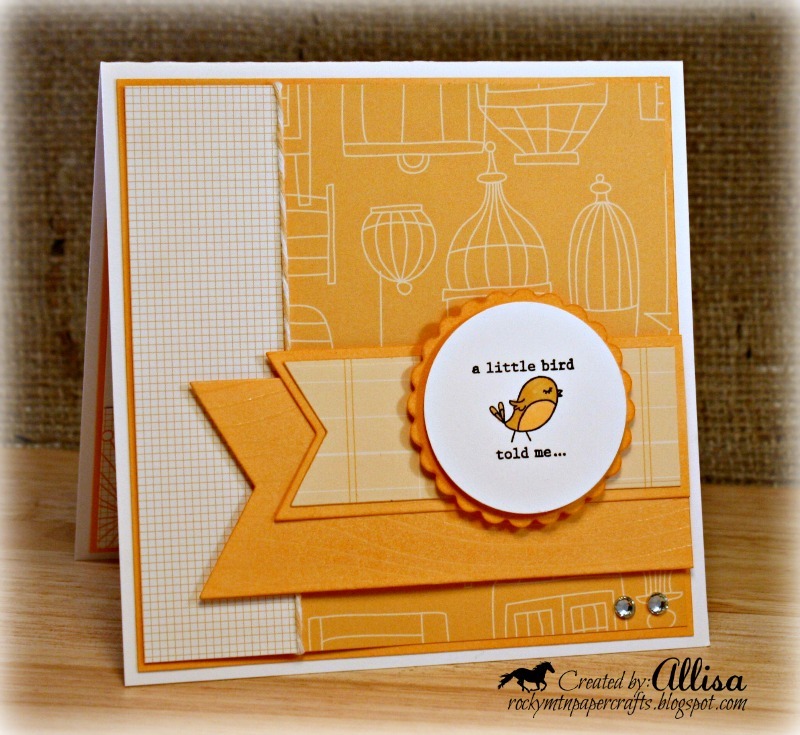 Great card and such a cute stamp set, Allisa! In answer to your question, I like to make mini albums, altered projects and cards. This is so "Tweet!" I love this little set and would love to win it esp for the dog! I love to make cards as well as treat holders and/or boxes. I also loved your Christmas card today and I think I still have enough of that paper to make the card! Thanks for the inspiration! I already subscribe so I hope that still gives me more chances to win! Love your card! I'm a sucker for ink. On paper, cards, altered items etc. I just love using inks. I so, so love what you did with the sketch, Allisa! That little birdie is cute, cute, cute!! Every time I stop in I am amazed at your art work. I love your style and this little birdie is no exception. They are soooo cute, this lovely little stamps. This is gorgeous. I love the cute image and beautiful sunny colours. I prefer cards but also scrapbook. Hope to see you again soon and good luck in the draw. Fab take on the sketch, love your colours and the cute little bird. This is soooo cute! 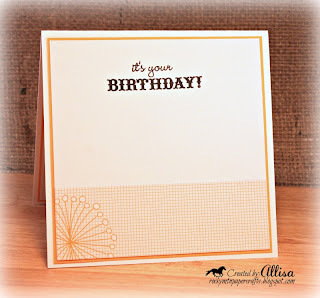 Totally adore the layout you have used for this card.